Huge user base. Although Twitter is not the largest social network (most statistics still rank Facebook in the number one position), Twitter is one of the top social networks with hundreds of millions of users. That means that a lot of your prospects and clients are probably on Twitter. Active participants. According to statistics gathered by Jeff Bullas and shared on his post, 21 Awesome Social Media Facts, Figures and Statistics for 2013 on the blog jeffbullas.com, the number of active Twitter users is growing rapidly. So, while Twitter may not have the most users, the percentage of Twitter users who actually participate is relatively high. This increases the likelihood that what you share on Twitter will actually be seen. Twitter community. Not only is the number of Twitter users important, but who uses Twitter is important. Twitter has active communities in many sectors. It also boasts a large number of writers and journalists. This makes Twitter great for sharing newsy updates about your freelancing business. There are also active users in most freelancing fields. Quick and easy. Unlike other social media platforms, it’s pretty easy to get started with Twitter. You just fill out your profile and start sharing. The settings are simple and don’t take long to figure out. This makes it an ideal platform for someone who doesn’t have much social media experience. Search. The search tool makes it easy to find what you’re looking for on Twitter. Search for users, topics, or by hashtag. You can use Twitter search to connect with Twitter users you want to network with. You can also use Twitter search to find information that has been shared recently about a specific topic. Great for branding. Twitter’s also helpful for branding. Freelancers can use Twitter to enhance their online presence. Twitter is also used by tools that measure online influence, such as Klout. Along with other social media participation, Twitter participation may even affect search engine rankings. Live Tweets and Twitter Chats. 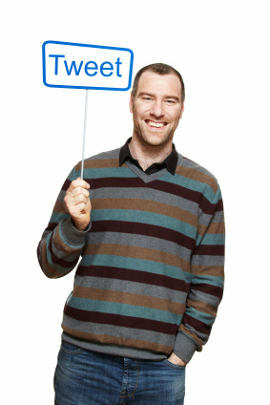 Live tweeting occurs when a user shares details about an event as it is happening. This technique has been used to break news stories. Twitter chats, identifiable by hashtag, are scheduled Twitter discussions about a particular topic. Hashtag sorting. While other social media tools may have added hashtags, they first became popular on Twitter. You can click on a hashtag to find other tweets labeled with same tag, or you can search for a hashtag. Whether you’re trying to connect with others in your freelancing field or find clients, hashtag sorting can be useful. Trends. Twitter tracks trends. Trends are a way to find out what other users are talking about right now. Trends are based on hashtags. Currently, Twitter trends can be tailored to your location. Messaging. Do you want to share with a Twitter user out of the main Twitter stream? Twitter messaging allows you to do just that. This is a great way to ask for a clarification of a Tweet. I’ve even been offered freelancing gigs through direct messages. Twitter tools. Twitter has a large list of tools to help you analyze, optimize, and otherwise get the most from your Twitter participation. Many of these tools are free. One of my favorites is TweetDeck, which is actually owned by Twitter now. As you can see, there are many reasons for freelancers to add Twitter to their social media/marketing strategy. Are you already a Twitter user? Do you find Twitter helpful for your freelancing business?